Patients come in all shapes and sizes and therefore when completing training, it makes sense to make your scenario as realistic as possible using a variety of sizes and weights – including bariatric. Are ambulance teams prepared for bariatric casualties? It’s no secret that obesity amongst the UK population is on the rise – but did you know that obesity is one of the biggest strains on Government funding? According to the Department of Health, they confirmed that it spends more each year on the treatment of obesity related ill-health (a total of £5.1 billion in 2014/15) than the government does on “the police, fire service and judicial system combined”. This is a shocking statistic and one which poses an important question – what additional demands are being put on ambulance crews when it comes to treating plus-sized casualties? Often, bariatric casualties are prisoners of their own bodies and with this in mind, they will often require assistance when it comes to hospital visits and emergencies. Ambulance crews are therefore seeing an increasing number of bariatric patients and a requirement to help move them safely. With the prevalence of obesity increasing it’s important that HART and general ambulance crews prepare plans for bariatric casualties. Training with manikins is one of the best ways of preparing for this scenario. Ruth Lee Ltd are well-known in the paramedic community and have supplied general handling and patient handling manikins for many years. We also have a range of bariatric manikins which have been designed to allow teams to prepare effective extrication methods which put personnel and patients at minimal risk of injury when moving and transporting heavier individuals. At Ruth Lee Ltd we want to make sure that we are supplying teams with the best possible training equipment. Our bariatric manikins come in 3 sizes, 90kg, 180kg and 260kg. The lighter manikin, whilst not ‘strictly’ a bariatric provides the bulk of an obese patient without excessive weight. 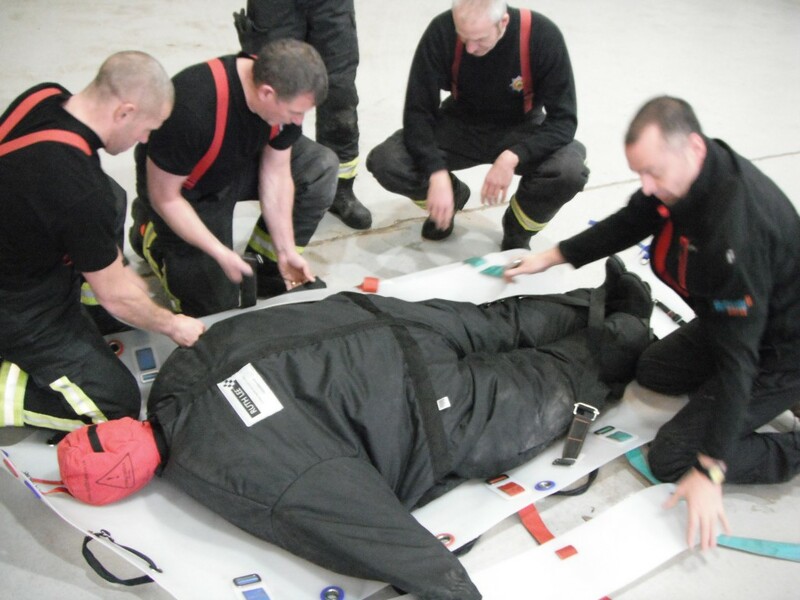 Where easier training set up is required, we have also designed a Water-fillable Bariatric Suit which allows you to transform a Duty Manikin into a bariatric. Teams can place the bariatric in a confined space, such as a small bathroom, and then add the required weight using water. It’s a simple process, which means that one trainer can set up the rescue scenario on their own with minimal lifting and handling risk. In order to further promote safe lifting and handling we can provide a range of bariatric carry sheets and a Bariatric Evacuation Kit which contains a Super Bariatric Carry Sheet, a standard Bariatric Carry Sheet, plus 2 Body Slings. Our Carry Sheet have been tested to destruction and are LOLER certified. All of these sheets have been designed to allow a minimum of 6 people to assist with lifting and are a useful addition to your ambulance equipment.